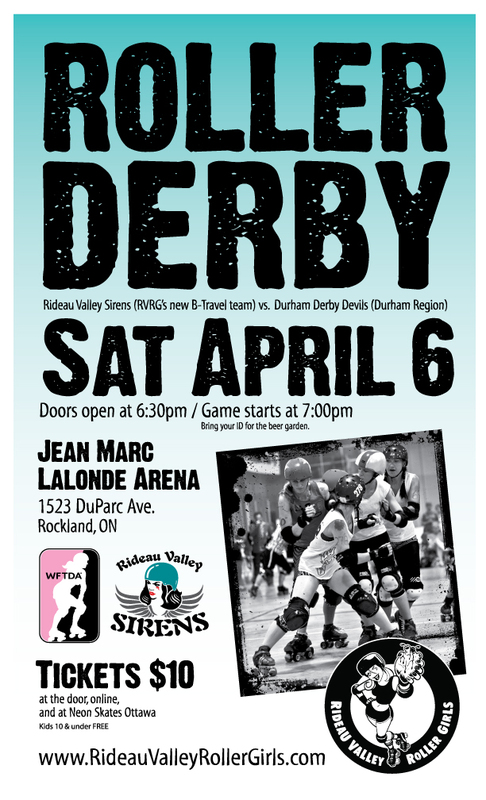 RVRG introduces their NEW B-travel team: Rideau Valley SIRENS (Ottawa) in their first ever bout versus the Durham Derby Devils (Durham Region) on Saturday April 6th! Bring your ID for the bar. ← Volunteer with the Rideau Valley Roller Girls.